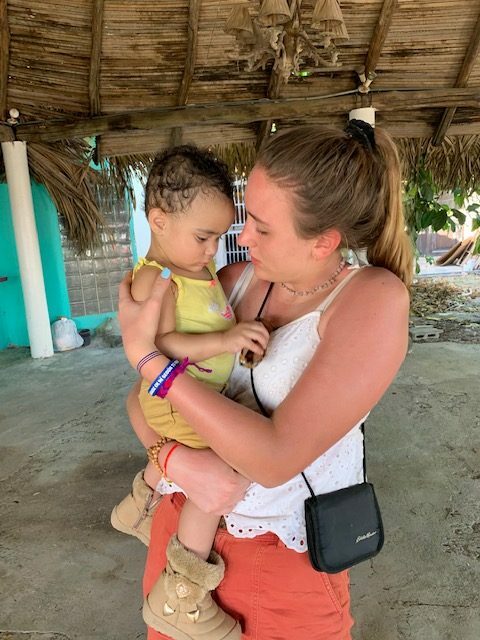 Senior Claudia Kedryna with the child of her host family in Panama. With her warm brown eyes and golden locks, senior Claudia Kedryna looks out the window at the terminal ready to embark on a holy adventure. Throughout Kedryna’s young life, she has put her whole heart into the Polish community and has spent hours giving back to her church. Pope Francis waving and greeting Panamanians. World Youth Days is one of the biggest events that she participates in at her church. Every three years, Catholic churches around the world are invited to a selected country to not only enjoy tourist attractions but to also join in prayers and meditations with people around the world who share the same beliefs. 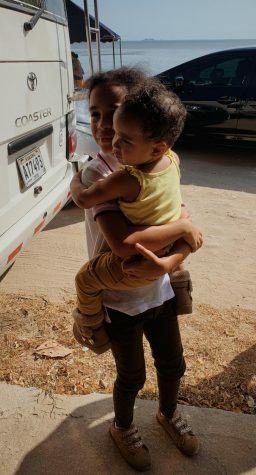 One big part of the trip, besides World Youth Days, is being able to stay with the host family in the designated country and getting to experience a life that is completely different from your own. Kedryna’s host family children embracing each other. 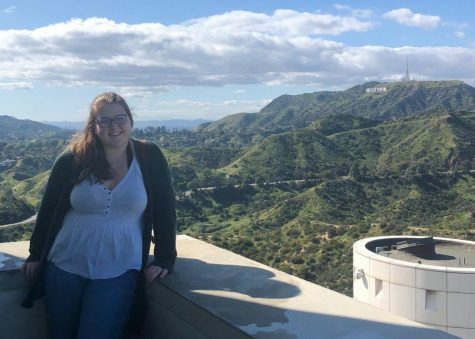 “You usually stay with a host family which is so fun because they are so welcoming and you get to see another culture besides your own and how they live, and it’s so different. 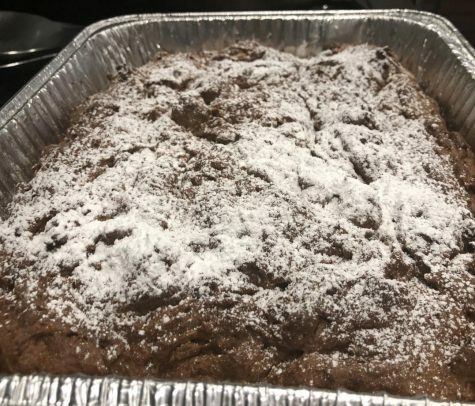 It’s canna like a shock because you usually hear about like oh ‘you shouldn’t take things you have for gratitude,’ but then you actually see it first hand and how these people are so happy, yet they have so little,” Kedryna said. Usually, the World Youth Days take place during the summer which gives each family a little more time for vacation, but the most recent trip Kedryna took was to Panama in January for about four days. Kedryna has gone to multiple places for World Youth Days. She has visited Poland, Brazil, and Spain when she was about 6 years old. Panama by far has been the most out of box experience for Kedryna. 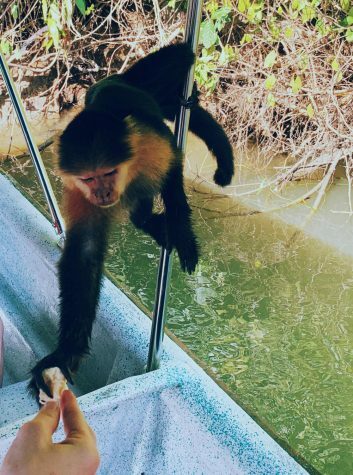 Kedryna feeding a monkey in Panama. “I’ve never been to a country like that before. It was so tropical and the scenery was so beautiful, and life for the people there is so different then it is anywhere I’ve been before. It was an experience I’ll never forget,” Kedryna said. 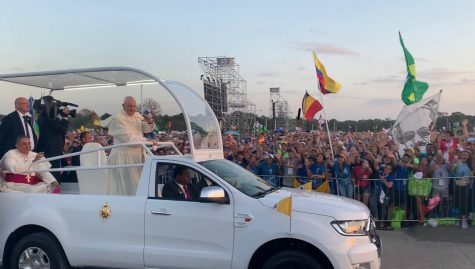 During the World Youth Days, there are multiple events that take place, from parades to seeing the pope, to mass prayer sessions, but Kedryna’s favorite part of World Youth Days is the overnight event. Kedryna and her Polish group embark on a three-mile trek and carry all their baggage to their designated site. “When we finally get there there’s some kind of prayer or meditation until 11 at night and then we wake up at 6 am to this loud music playing and everyone’s like ‘get up, get up!’ and you’re so tired but it’s really cool to wake up and see people from all around the world around you. Like it’s so weird, but it’s so cool. It’s like a huge sleepover!” Kedryna said. 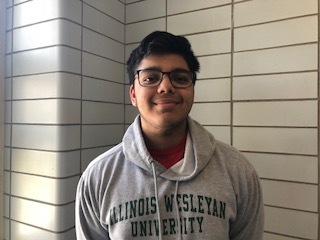 Upon her return, she presented the highlights of her trip to her Spanish class, which Spanish teacher Andrew Suarez was extremely impressed with. “I would have loved to see her in the environment, to see how she would speak Spanish there surrounded by just Spanish speakers, but I really didn’t see a big change in her Spanish because she’s very proficient, to begin with,” Suarez said. 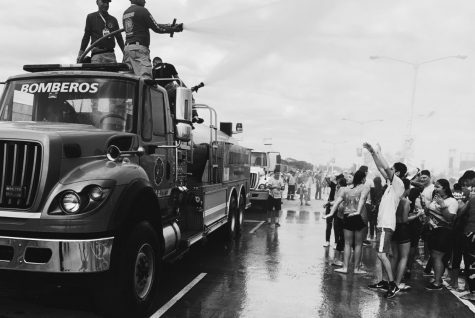 A firetruck sprays the public on a hot summer day. Over the entire course of Kedryna’s trip, she was constantly inspired by the flora and fauna of Panama. With her phone in hand, she captured each significant moment of her trip and the people that touched her the most. Kedryna holds an immense amount of passion for photography and has just recently honed in on her style. “I found my passion through photography when I decided to not take all studio-based classes, I like studio art but it wasn’t something I was passionate about. I decided that I didn’t want to stop taking art classes, so I decided to take a digital class and I loved it so much. I did really well in my photo class so my teacher allowed me to take AP my senior year which I’m really happy she did because I was able to develop my skills this year,” Kedryna said. Kedryna has won honorable mentions, a silver key, multiple gold keys, a national silver medal, and got a bronze medal at the IHSA expedition for one of her works. Not only has her talent been recognized with awards, but also by her closest friends. “Claudia is such an amazing photographer and her level of skill is extremely impressive for the amount of time she’s been in photo class which is like less than 2 years,” senior Vanessa Bittar said. As Kedryna’s senior year is coming to a close, she still does not know which college she will be attending but she does know that she would like to major in business, while still expressing her passion for photography through a minor in the field.